A young journalist and her top-secret assignment. An exlusive straight to digital short story from the Sunday Times Top Ten Bestseller. Meet Emily, a young woman who dreams of being a prize-winning investigative journalist. Her first assignment is to a top restaurant where tempestuous chef Theo Milton reigns supreme. Very soon romance starts to sparkle amongs the pots and pans. And Emily finds there's more than cooking on her mind. 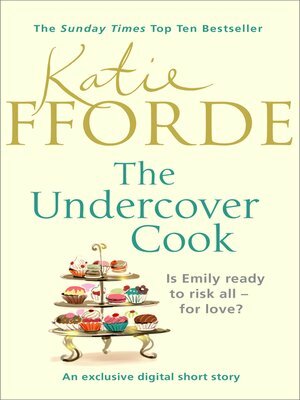 Sunday Times bestselling author Katie Fforde is known for her wonderfully romantic stories, delicious heroes, and heroines we can all relate to. In The Undercover Cook her warmth and wit shine through in this enchanting short story which also gives readers the first chance to read the opening chapter of her captivating new novel, Recipe for Love, out in March.